This multi-colored top has a relaxed fit that gives it instant appeal. On-trend touches such as the trumpet sleeve and ruffled hem make it cool and classic all at once. 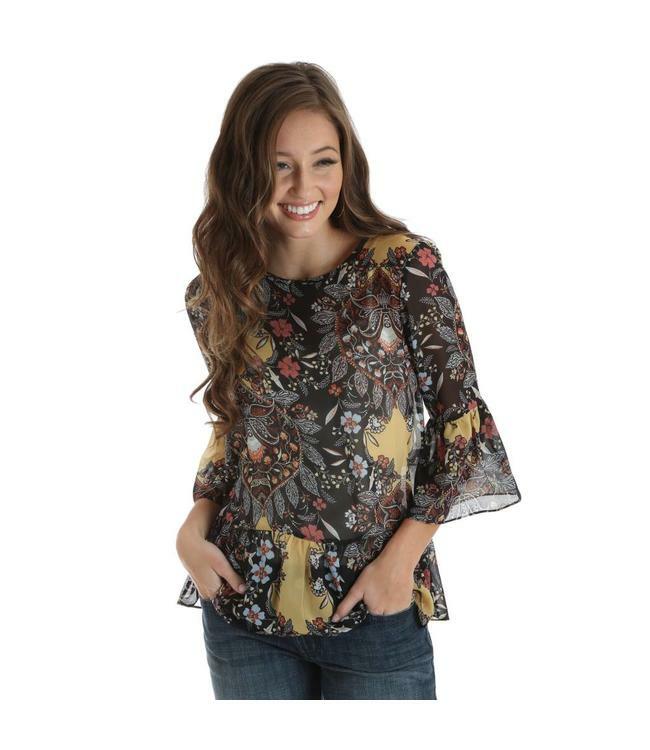 The artistic pattern also features a variety of gorgeous colors, meaning you’ll be able to effortlessly incorporate this top into your existing Fall wardrobe.